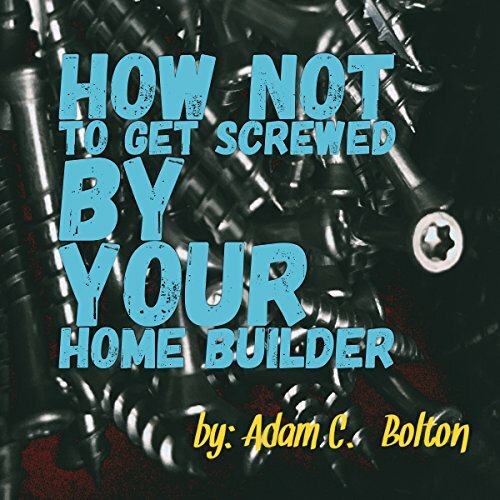 Showing results by author "Adam C. Bolton"
About to buy a home from a home-builder, or entertaining the idea? This is your lucky day, as How Not to Get Screwed by Your Home Builder is a complete treatise on the home-building process. It is a must-hear for every aspiring home-owner and home-builders to boot, as the author distilled and addressed many of the issues potential home-owners encounter and how to deal with them. Furthermore, the author drew from his own field experience to offer hacks to potential home-owners, making the book golden to any aspiring home-owner.